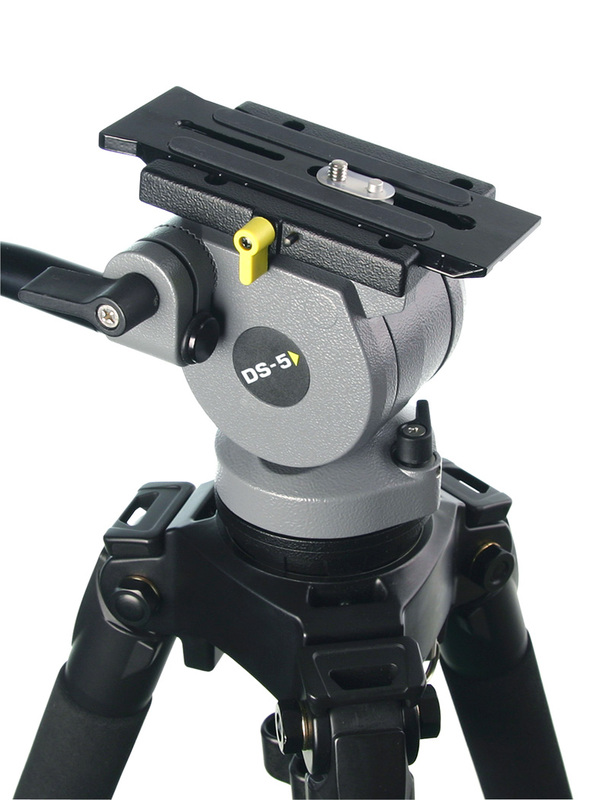 Your Mini DV camera attaches to the DS5 fluid head using the industry standard ¼” + pin attachment and provides a true fluid pan and tilt drag offering smooth movements needed to produce high quality MiniDV moves. Disc style tilt and pan locks guarantee non-slip rock-solid lock-off shooting positions. 75mm ball levelling lets you set up your tripod to any position, then quickly adjust your fluid head using the rear-mounted bubble level for perfect horizon setting.